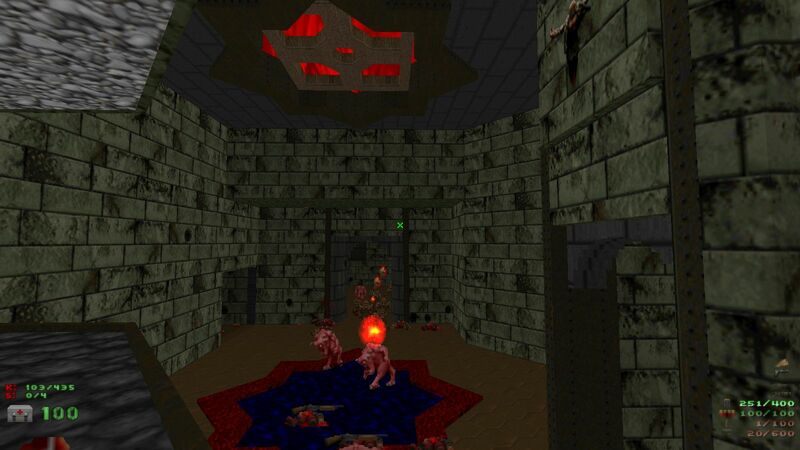 Three Ways to Die is a single map for DooM II that plays on Map 27. 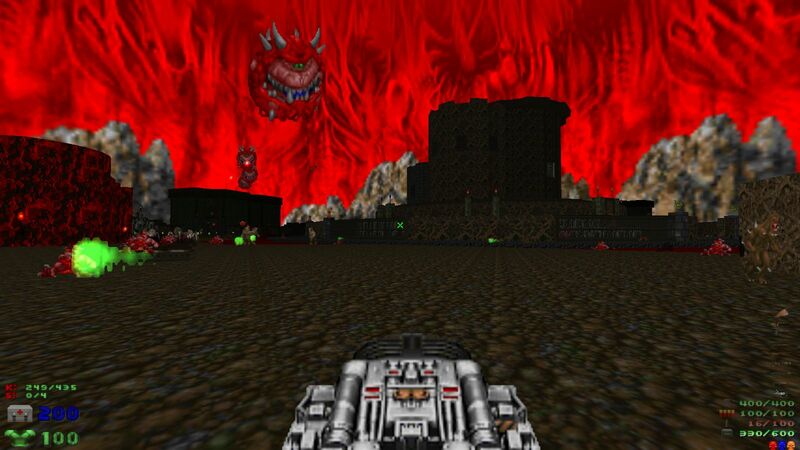 It is based on Snowball's Chance in Hell, which I released for The Ultimate DooM in 2011. This version features 3 different progressions, depending on skill level chosen. 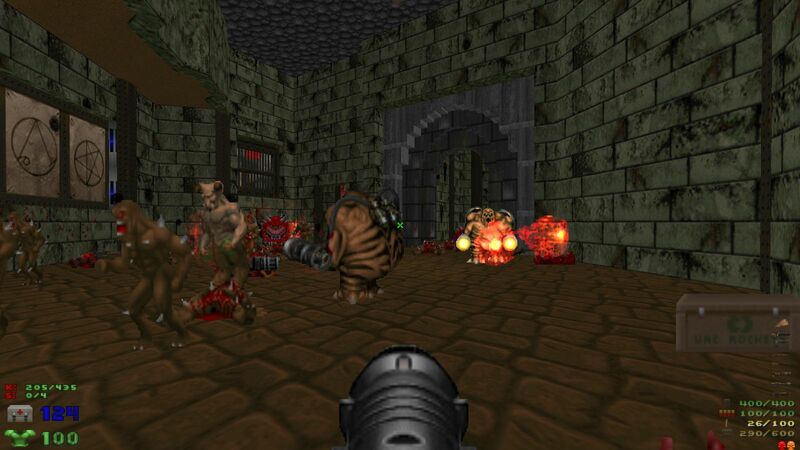 Weapons, keys, and power-ups are also placed in different locations. 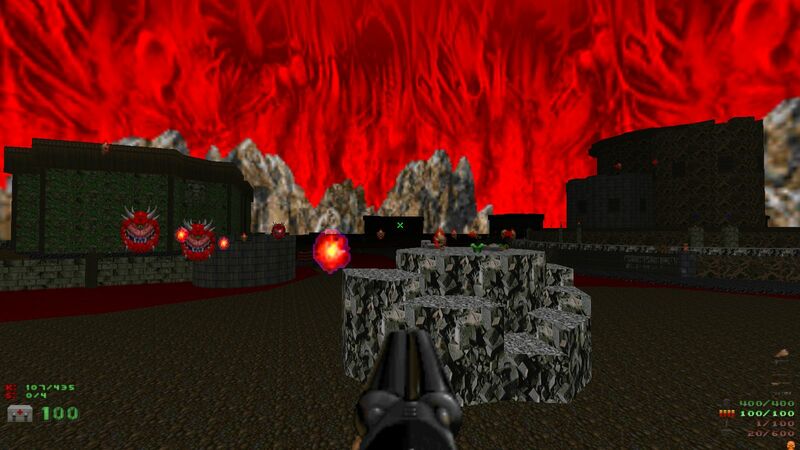 All skill levels pose a reasonable challenge, and many fights are different, lending this map some replay value. The game may be downloaded here. The textfile may be reviewed here.